For the past almost a year now, I have been working closely with a really great company Entirenet on some really cool projects. Entirenet is an experienced organization in L & D and has some very talented team members. One of the big projects we have been working on is a series of safety videos for the Washington Wine Industry. It has been a fun project. I am looking forward to sharing this project with you all when it is complete. One of the conversations I have been having with Entirenet’s leadership team is about all the great things happening in learning and development today. As part of those discusions we have talked about our mutual belief in community and sharing our expertise. They really like the interviews that I do with industry thought leaders and asked if I could produce a series for their blog readers and community. I of course was flattered and jumped at the change to collaborate with them on another project. As I was thinking about who I was going to interview and what I would talk to them about it occurred to me that there is an opportunity to put some thing really special together. Because my interviews in the past have been intentionally spontaneous and unplanned. This particular interview series offered something a little bit different. 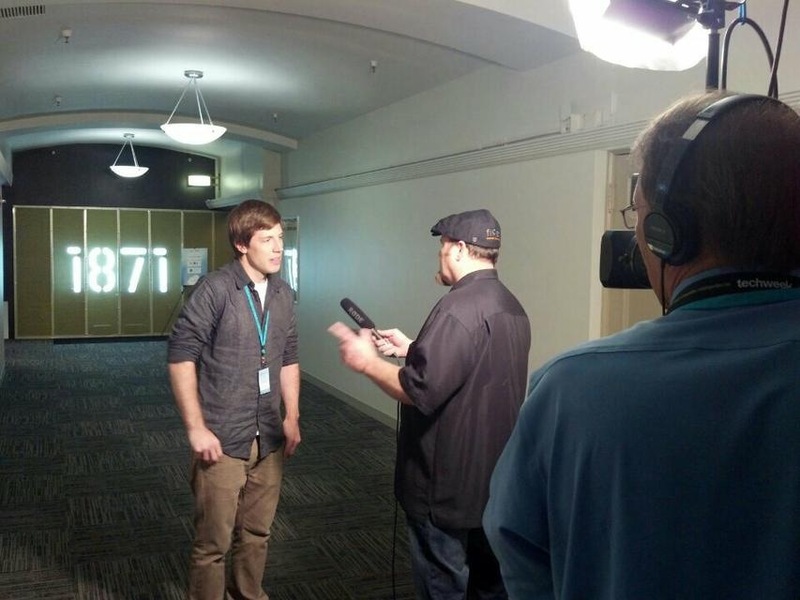 I could be a little bit more strategic about my line of questions and choices in interviews. This type of approach would result in a more comprehensive outcome. What that means to me is that with a little planning this interview series could offer a relevant snapshot of the landscape of learning and development today. We will take a look at important topics, issues and opportunities happening in our industry. My goal is that by watching this series of interviews one could potentially leverage the combined expertise and insights of today’s thought leaders to build key strategies and roadmaps for an organization. The 1st interview in this series Is with well known author, speaker and media expert Jonathan Halls. I caught up with Jonathan in Washington DC during ASTD ICE. We talked about the state of L & D today and how it has been changing in this post industrial age. For the next series of interviews we will be taking a look at the next iteration of SCORM now called Experience API. I believe that experience API is a game changer for our industry. There is tremendous opportunity here and it is important that as a community we help shape this and take full advantage of what this new way of tracking learning has to offer. Please join me and follow this series of interviews on the Entirenet blog. Click the link below. UPDATE: Here is the second interview! Please tell me that we are not surprised at the results of this study. I believe most educators and learning and development professionals know that a good hands on experience or interactive module will achieve a better transfer than a lecture any day. Don’t get me wrong lectures have a place in learning but its just not where the real learning takes place. In my option lecture is the place for bringing all the experience and activities together, sort of connecting the dots. To me a lecture is sometimes like drinking out of a fire hose. I always enjoyed the lab days in school. I still remember some of the experiments we did in science class. Who doesn’t remember lighting things on fire or dissecting frogs. Just saying! The value is in the experience and actually trying things for your self. This is where you start to see the value of concepts like the flipped classroom. There is nothing new about activity based learning isn’t that what an apprenticeship is? Learning while doing is where it is at. Below is the article that inspired this blog. 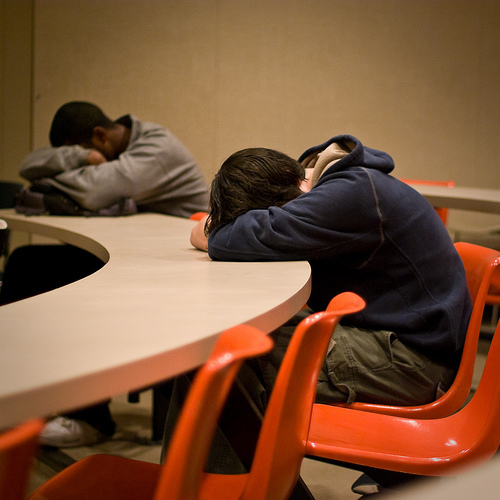 College Lectures: Not the Best for Learning, Says New Study | IdeaFeed | Big Think. I think storytelling is an important aspect of learner engagement. I like this article here by Ray Jimenez, PhD. Ray shares some great insights here. Stories, Scenarios and Micro eLearning: Back to the Basic Techniques in Designing Interactive Stories for eLearning – Aesop, CEO. I enjoy browsing web videos and watching lectures and conversations of thought leaders, philosophers and scientists. I especially enjoy finding people from the past. It is fun to learn this way. Right from the horses mouth as they say. Technology has made this possible. Before the web and Youtube we just did not have access to these little nuggets of wisdom. There is so much to learn out there and learn. 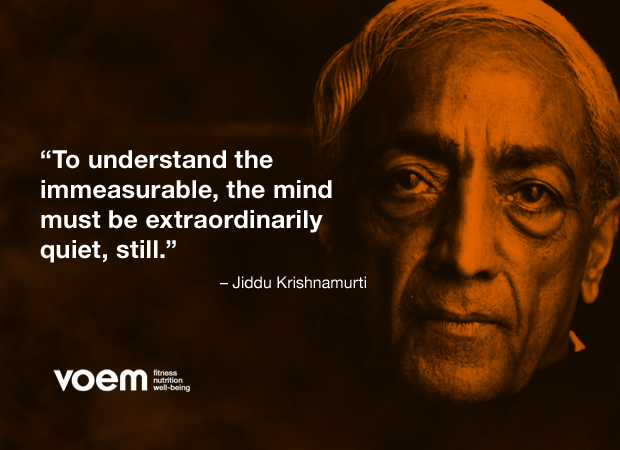 I love this quote by Jiddu Krishnamurti. He is one of the many that I have enjoyed researching and learing about. For some time now I have been of the opinion that ADDIE needs to be broken in order to work properly in most organizations. I have been part of many water cooler conversations on this subject. We create written documents, host team meetings talking about our ADDIE process and believe we are following it. The reality is we are often frustrated about how projects just are not going the way they should be. In the end our training falls short. We have rapid deadlines and company dynamics such as how other parts of our organizations work to consider. So in order to get things accomplished we have to bend or sometimes break our processes. Much of this can be attributed to the fact that the speed of business is more rapid today. Companies change direction on a dime, launch products continually and time to market is compacted on order to stay competitive. The bottom line is businesses just do not function they way they did in the past. So why to we approach our training projects using the same linear process that we used 20 or 30 years ago? We are just not in-sync with our partners, SMEs and stakeholders. We should also look at how much the technologies that we create and deliver training have changed. We use rapid development tools so we can crank out learning like a fast food restaurant. Would you like fries with that eLearning? We also have so many more options for delivering training that we did not have before. Lets face it how we train people is really different now. I know there are arguments over whether or not our training is any better today. I believe we are still figuring out how to properly leverage these new tools and technologies. There are some big opportunities here in my opinion but that is another conversation. If you look at how the software development community has changed their process and workflows so that they might meet the demands of today’s business we may get an idea of how we could improve what we do. Most developers today follow and iterative process called Agile. It allows for a better workflow enabling a project to evolve and improve as needed all they way to launch and even post launch. This model has been a very successful approach for the high paced software development environment. I think it is time to look at how we can borrow from this. Several years ago Allen Interactions left the ADDIE process behind for a more iterative process so that they could better server their customers and improve their workflows. It must be working for them because they continually produce award-winning learning for their clients. 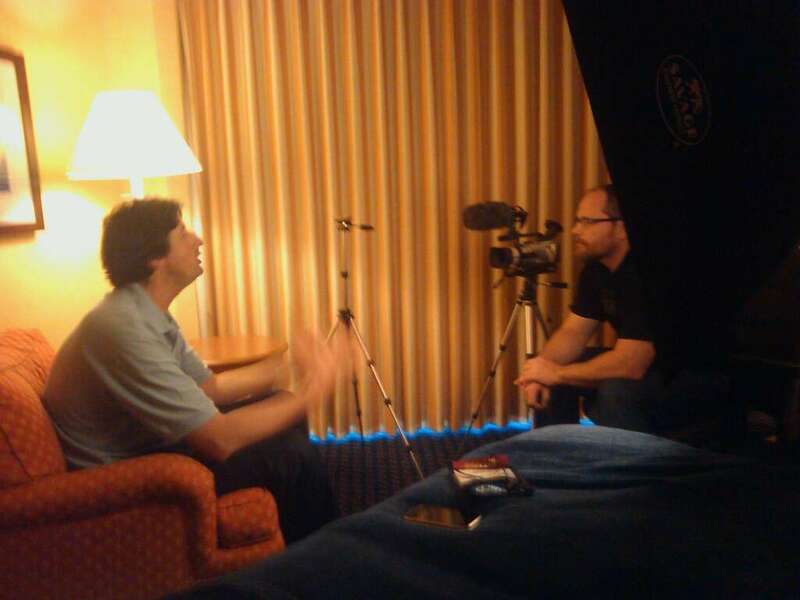 I caught up with Michael at DevLearn 2012 to talk about his new book Leaving ADDIE for SAM. Michael Allen CEO at Allen Interactions Inc. These are exciting times in the learning and development space. We are in a huge technology growth period right now. Technologies like mobile, cloud and the adaptation of social & informal learning for the enterprise are at the core of the opportunities in front of us. I think most of us would agree that these technologies are disruptive or at least they should be. It is true that not all organizations adapt new technologies at the same time. My friend Dr. Gary Woodill owner of i5 Research and the author of The Mobile Learning Edge illustrates this in his technology life-cycle curve. 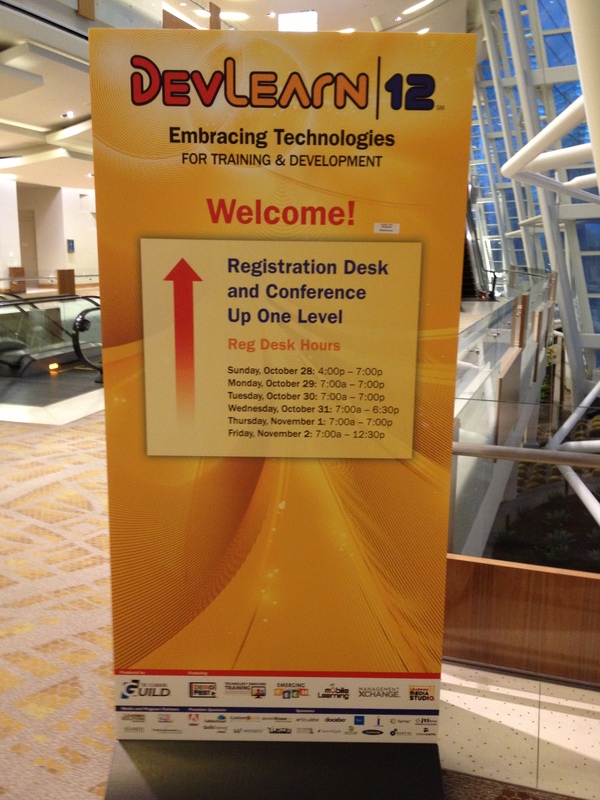 DevLearn has always been a great place to learn and have conversations about the edge of learning. It is also a great event to learn how early adopters are actually leveraging these new technologies and learn from them. I have identified several thought leaders who are talking about what is really happening in learning today to interview. I am looking forward to sitting down at talking with these experts and sharing them with you as I always do. One of these really smart people is Brent Schlenker an expert in learning technology. Here is a Guild video by Brent on Designing For All Technologies. Here is a partial list of the interviews I am conducting this year at DevLearn. What’s on your tool belt? Saying good bye to ADDIE? I ran across this post and I think it is an important conversation. In the 90’s I worked at a start-up called FreeEigo.com a site that taught English to a Japanese audience. We created a community where students and instructors could interact with each other. It was a personal connection and created a bridge between student and teacher. This is an important aspect of distance learning. It also benefits corporate learning, it creates a place to connect with top performers with new employees. It is also a place for front line employees to connect with leadership. This builds a sense of community so people feel more connected to the organization. All of this is extremely important you have a distributed work force. Blogging vs Threaded Discussions in Online Courses | Connected Principals. When one of my piano students shows up for a lesson I am immediately interested in what they did during the week. More specifically, I’m interested in how they did what they did. I want to know how they practiced, not what they practiced – how much hands alone practice, how much repetition, did they use the metronome? count aloud? practice perform? There is one piece of data that I could take or leave – time at the piano. It’s just not that important to me. All my students ask me how long they should practice every day. My goal is to help them understand that this is the wrong question. This is one reason I’m jazzed to see the Tin Can API solutions people come up with. What can we do with this new potential for information? The guys at SaltBox seem to be mildly obsessed with this and I can’t wait to see their solutions up close. Beyond a large-scale solution, I think there are lots of small applications this could be used for. If you have come up with something – I’m dying to see examples in action. I’ll be trying it out myself soon in little micro projects. Are you ready for the next iteration of SCORM? You better be! Innovation is about taking risks! I am looking forward to my presentation on innovation this October 16 for the ASTD Puget Sound chapter. It has been inspiring doing research for my presentation. I thought I get the conversation going with a few quotes and an inspirational TEDx video. Here is a fun article I found in The New York Times.